฿ 0 THB / Per Night Note: "Our prices are in Thai Baht, rates quoted are converted for your convenience as a guide". Currency movements are out of our control and prices may change without prior warning. 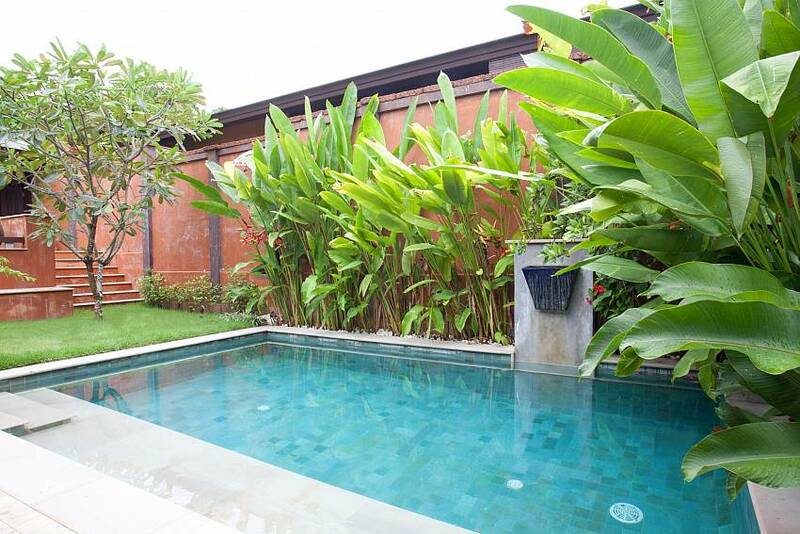 This charming two-bedroom villa makes the very most of its tropical location with lots of relaxing indoor-outdoor areas, its own private swimming pool, and lovely mature gardens. 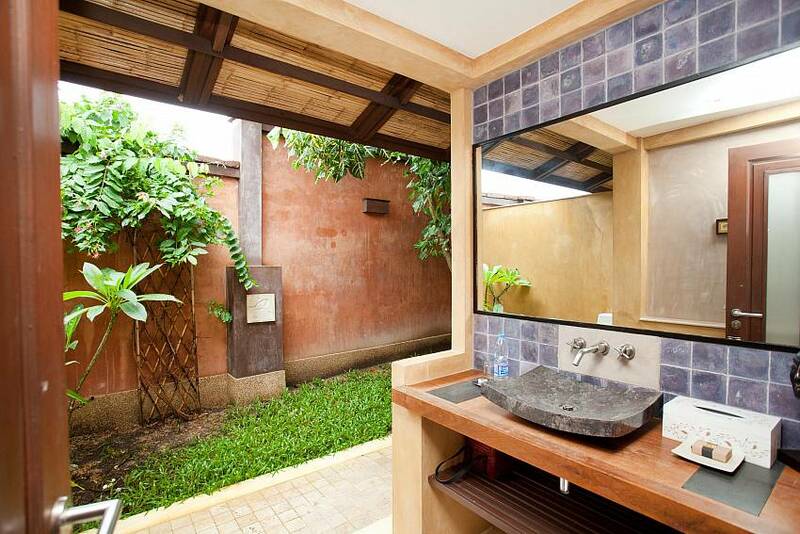 With a location just 500 meters to Klong Khong Beach, this is a very attractive holiday destination. 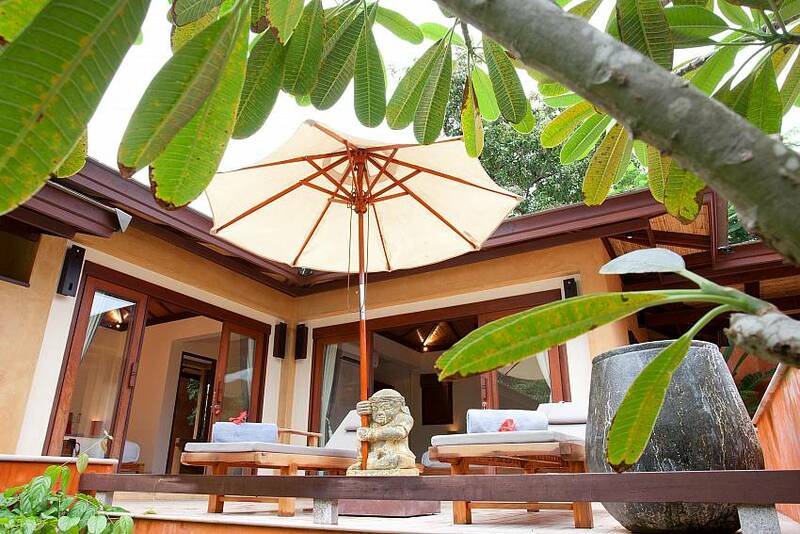 Located just a 500 meter stroll to Klong Khong beach, this handsome villa provides a totally relaxing hideaway where you can unwind in secluded splendor. The villa's open-plan living areas are designed to make the most of the fresh ocean breezes of this magical island. High vaulted ceilings, tiled floors and Asian-style ceiling fans ensure you are always cool and comfortable while enjoying the benefits of nature all around you. 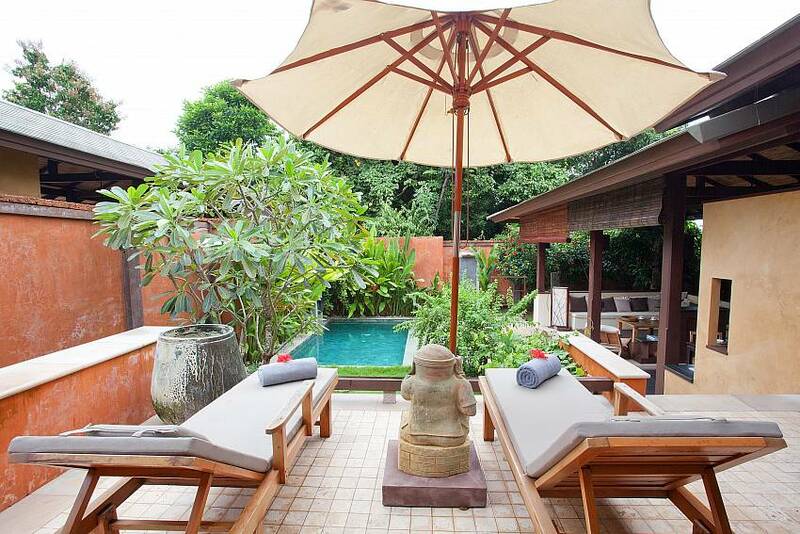 This splendid hideaway is just 500 meters from the lovely white sands of Klong Khong Beach where there is a good choice of restaurants and bars. Long Beach is 4km to the north and Klong Nin Beach is 8 km to the south. 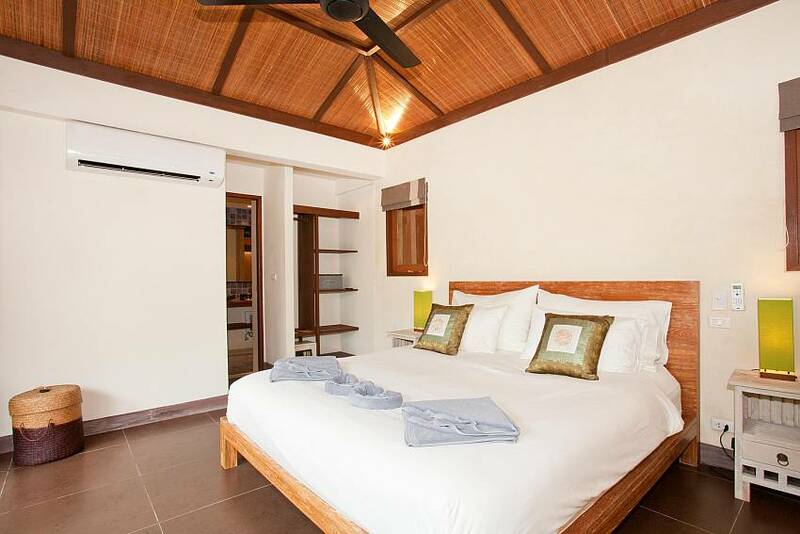 You are within easy reach of lots of local attractions such as a butterfly farm, snorkelling, diving and kayaking. The helpful staff at the resort can help you organize any trips you wish. 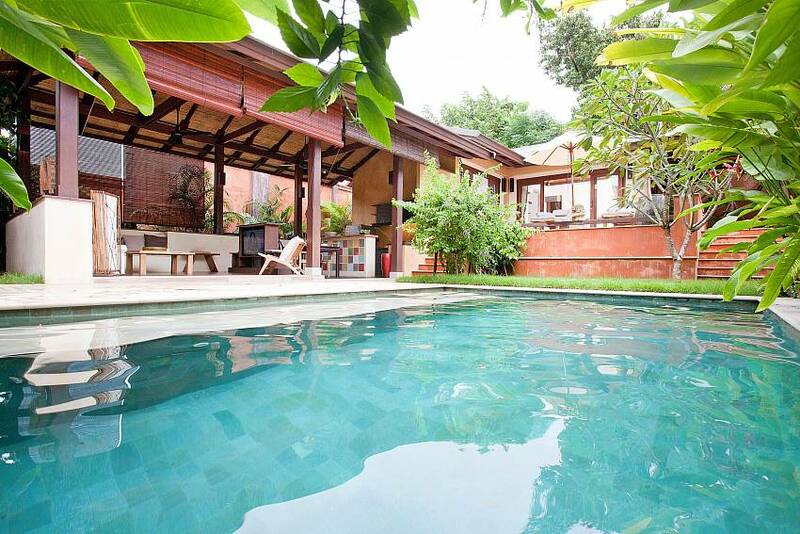 Find more available holiday home rentals in Koh Lanta. 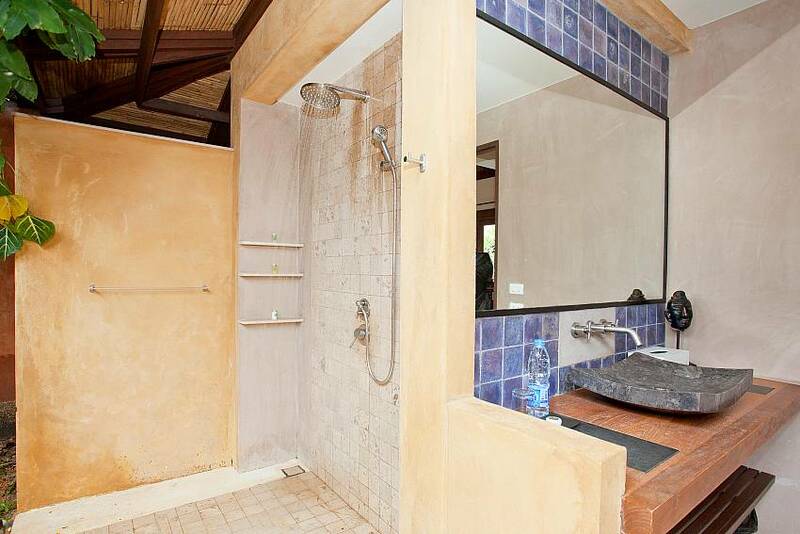 The villa has two bedrooms with en suite bathrooms and air conditioning. 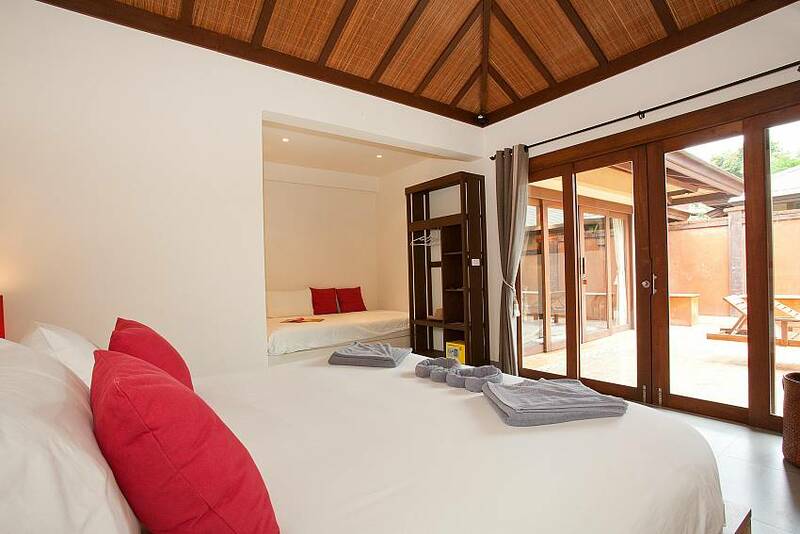 One bedroom also has its own day bed to relax on or which can become a bed for an extra guest. 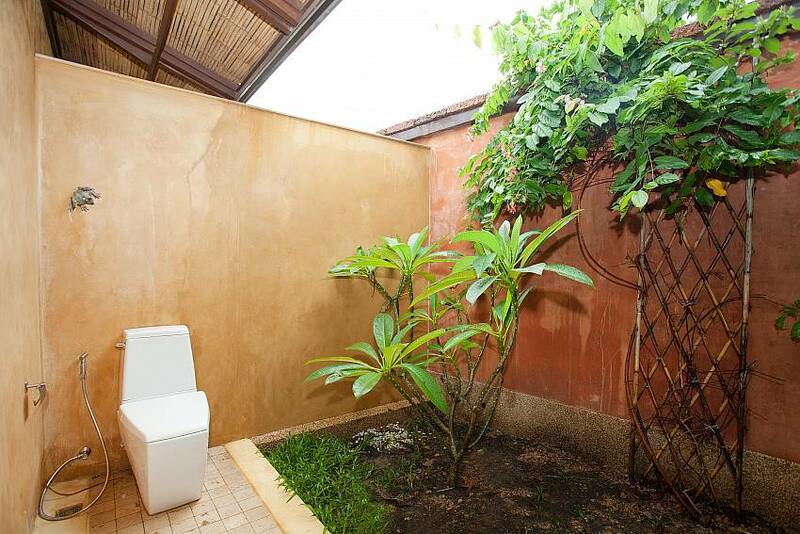 The villa’s bathrooms exploit the lovely tropical surroundings with covered roofs and open sections to the gardens (you still have your privacy). 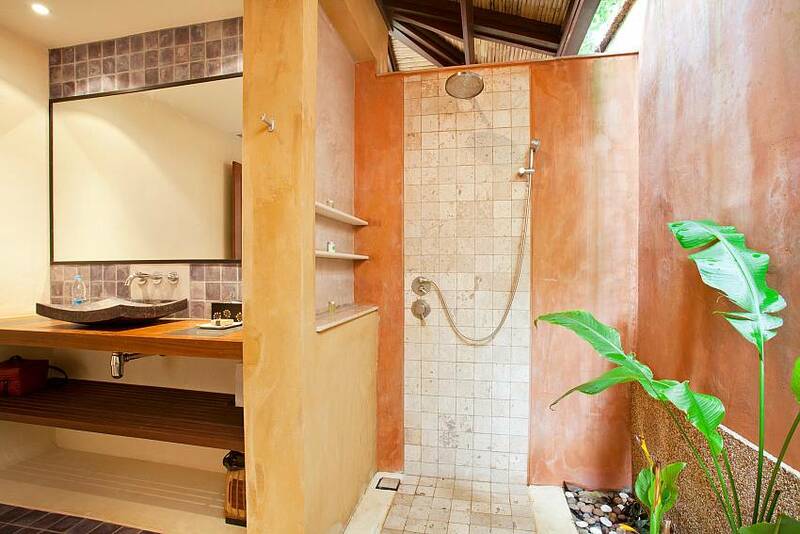 Each bathroom has a hot shower, WC and wash basin – as well as tons of atmosphere. 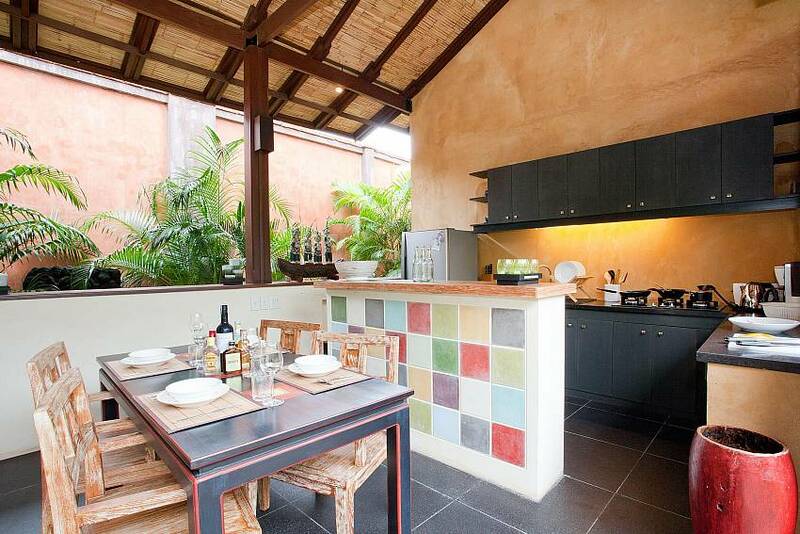 The unique kitchen with this villa is full modern and opens directly out to the garden and swimming pool. 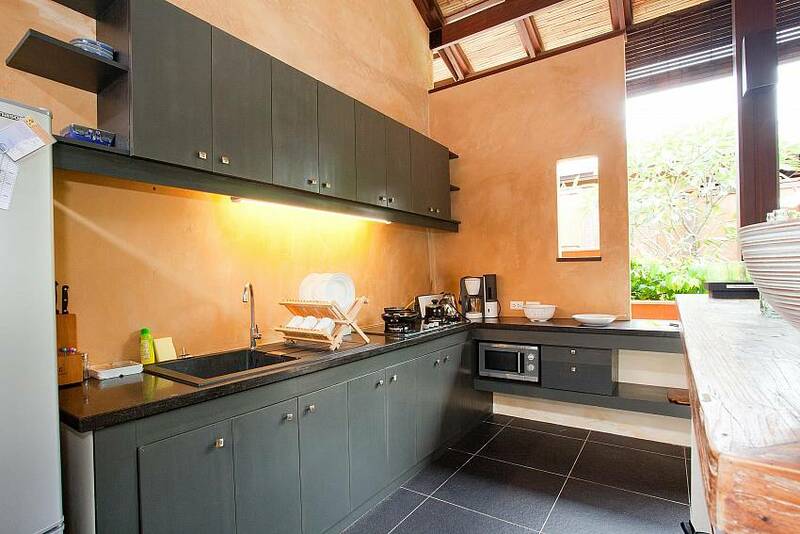 It has plenty of work surfaces and is equipped with many appliances for easy self-catering, including a refrigerator, toaster, hobs, microwave, coffee-maker and toaster. The open plan living area has lovely high ceilings, comfortable furnishings and a large TV with international channels. 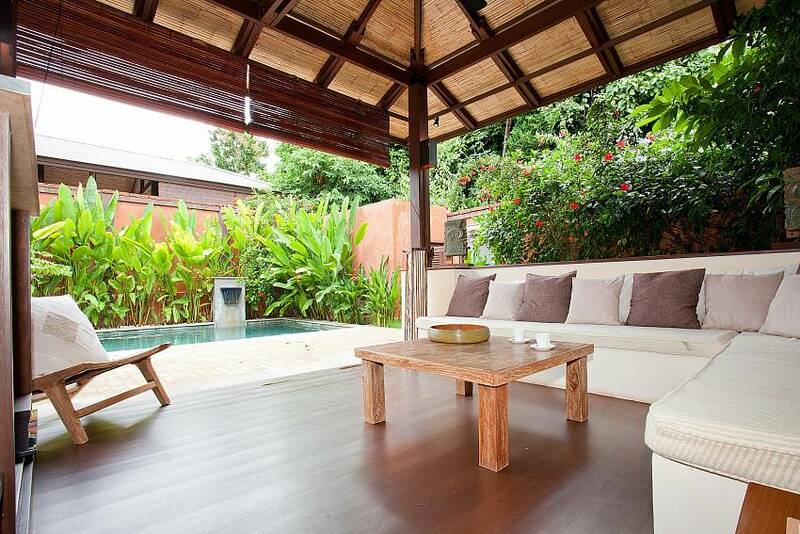 This is a superb space in which to totally relax and unwind looking out to the pool and gardens. 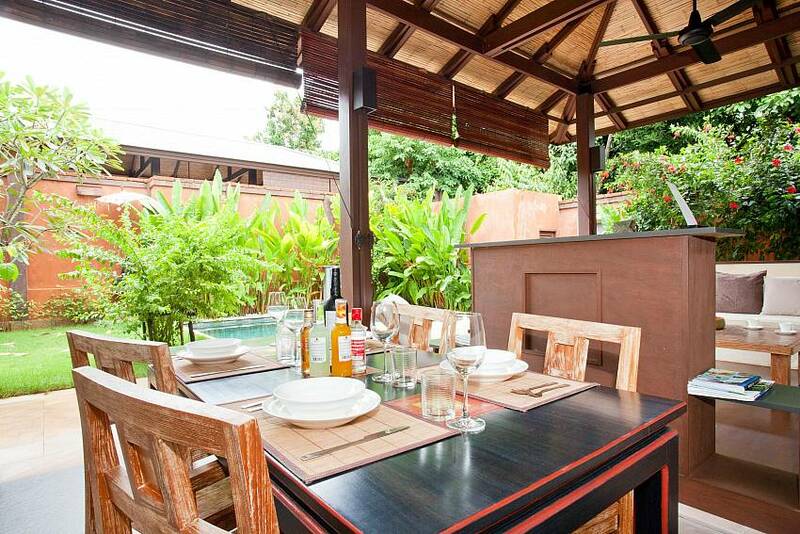 The dining area is located next to the living area and kitchen and has a large wooden table and chairs with direct access to the pool and gardens. Bookings of less than 3 Nights, Please make an Enquiry. Who better to tell you about a property than the guests who have stayed there before? Our constantly growing collection of reviews help you to make your important decisions. We take your security very seriously. We work with the leading professionals in the online payment industry (Kasikornbank, PayPal, WorldPay, Visa, Mastercard) to ensure that your payment is processed quickly and securely.